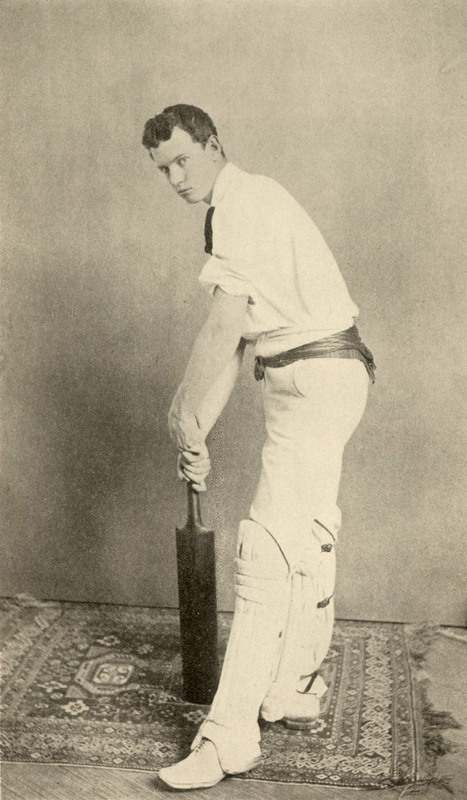 In 1842, cricket became the first team sport organized by University of Pennsylvania students. At that time the American sports of football and baseball were just developing, and young student athletes turned to the established British sport of cricket. Often called “Britain’s national pastime,” this game has been played by members of all walks of life in the British Commonwealth for the better part of the last millennium. A cricket match involves two teams of eleven players playing on an elliptically shaped field. The field can range anywhere from 100 to 160 yards across and usually is enclosed by a fence. The center of the field has a rectangular pitch area 22 yards long and 12 yards wide. Each team has a “bowler,” similar to the pitcher in baseball. From the pitch area, the “bowler” throws the cricket ball overhand to the opposing batsmen. The bowler attempts to get an out by either hitting the batsmen in front of something called a “wicket” or knocking the “bails” off the wicket.. The wicket itself is made of three wooden poles that stick up from the ground approximately 9 inchs; bails are the wooden crosspieces set atop the stumps. Each batter is given an “over” which consists of six balls bowled from each of the two creases, which are on opposite sides of the field. The batsman tries to strike the ball in any direction away from the opposing team’s players so he can change places with his teammate in the opposite crease and score a run. Four runs can be scored by hitting a ball that reaches the boundary of the field and six can be scored by clearing it completely. A batsman doesn’t need to run after hitting the ball; however he can be put out by a fielder’s catch or by a throw that strikes the bail of the wicket while the batsman is between the creases. As one batsman is put out, another takes his places until all eleven are put out, which ends the inning. It is common for cricket games to last for days before a final can be declared and some batsmen have even been known to score up to 400 runs at a single at bat. Most games last only two or three innings but other versions, intended to speed up play, allow for only one at bat for each team.